Research has found that successfully playing down instances of corporate irresponsibility leaves large organisations, like Volkswagen and Fifa open to repeating the same mistakes. The paper, ‘On the Forgetting of Corporate Irresponsibility’, by researchers at Cass Business School, City University London and Aalto University in Finland have found that corporations often succeed in quickly downplaying large instances of corporate irresponsibility by using methods including distraction tactics. The research found that companies downplay the harm that an event has caused, shift the blame onto someone else and draw attention away from the scandal to another issue. According to the researchers, at present, Volkswagen is looking to heap the blame for a collective failure onto the shoulders of a few individuals, such as the CEO, who has since resigned. 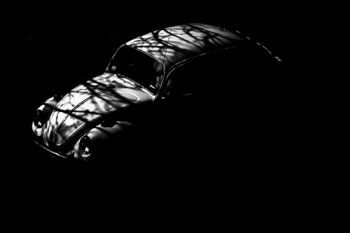 The methods described have been demonstrated during the Volkswagen emissions scandal: the corporation has publicly apologised, the CEO has stepped down and now there are headlines of emissions fraud being a wider-industry issue. Similar actions were taken by Toshiba earlier this year, in dealing with the fall out of a $1.3 billion accounting scandal, and many other corporations have undertaken comparable activities in similar cases. However, the researchers warn that Volkswagen may not learn from its mistakes and avoid them in the future – instead, it may be destined to repeat them. In the longer term, companies involved in a scandal often go out of their way to forget (and make others forget) what went wrong. This is achieved by silencing their stakeholders: removing people who might remember the incident or gagging them, and by getting rid of or downplaying traces of the wrongdoing. The study, ‘On the Forgetting of Corporate Irresponsibility’ is available online, and will be published in the Academy of Management Review. The study is a conceptual paper where several case examples are provided to illustrate the point. Volkswagen is not a case used in this study.